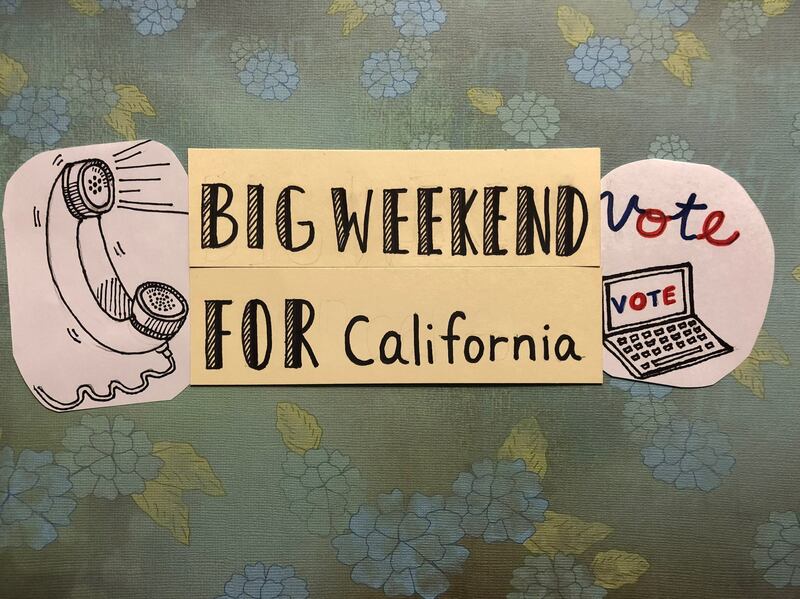 Join us for an all out phonebanking and textbanking weekend to flip targeted GOP-held California Congressional seats. With vote-by-mail ballots dropping this week and the majority of California voters expected to vote by mail, this coming weekend represents a critical time to reach voters. Don’t worry if you are new to phone or text banking. We’ve got experienced folks to help and most importantly we have a supportive community that has found the antidote to despair is taking action together. Don’t miss out. Bring a charged laptop, ear buds, and your cell phone and be a part of the building the Blue Wave. Join the Voter Tsunami October 13 and 14- it’s the most important volunteer weekend to make an impact!